The photograph was taken on January 31, 2017 on the western edge of the Black Rock Desert playa in a north easterly direction. What you are looking at is an ice sheet that extends as far as the eye can see, The day was overcast and very hazy but I was determined to return home with a least one image I liked. I chased the light for most of the day but it eluded me and the sun remained hidden. 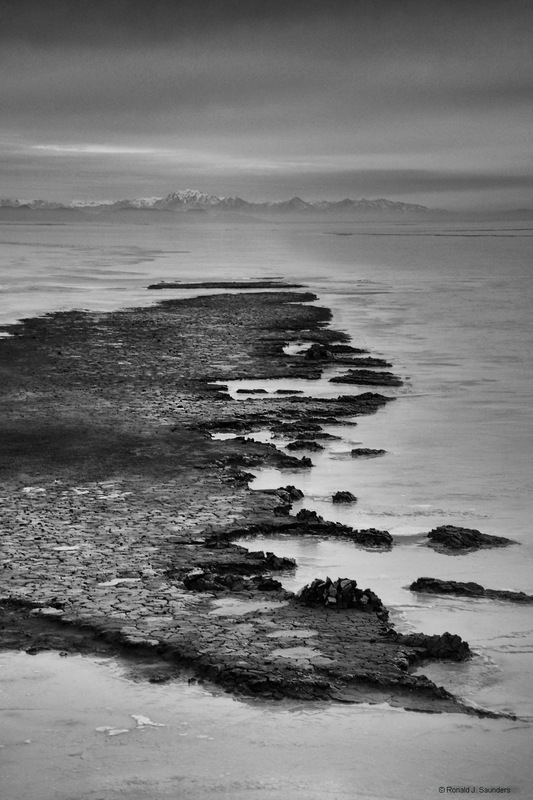 The playa was covered by frozen water after several weeks of record snow and rain.. Photo © copyright by Ronald J. Saunders.